Music has always had the power to move me out of the doldrums, to lift my spirits especially when musicians take chances, ask hard questions, go beyond the cliche or just soothe the anger caused by an increasingly (my opinion) uncaring world. Now I know there are good, caring people everywhere and, though our political views may be miles apart, can still carry on conversations without resorting to name-calling and/or "hate speech." But, what passes for public demeanor nowadays surprises and saddens me. Whether one believes in global warming/climate change or not, to hear that the United States is pulling out of the Paris Climate Accord shows short-sightedness of the highest order (my opinion), a lack of vision for a better future for our nation and the rest of the world. To see an entertainer holding up a severed head in the name of political satire crosses the boundary of good taste - no matter what you feel about the President, he commands the respect of the office (despite the subject matter of his numerous "tweets"). Still, I am not in a position to whine, I'm neither a Congressman nor a lobbyist. I write about music, believing to my soul that music does have the power to change the world or to, at least, inform us of issues that we keep ignoring (or keep choosing to ignore). For his third album as a leader, pianist, synthesist, composer, and conceptualist Fabian Almazan has composed an hour-long suite for eight musicians, an ensemble he has dubbed Rhizome. He has worked extensively with these people, his friends. 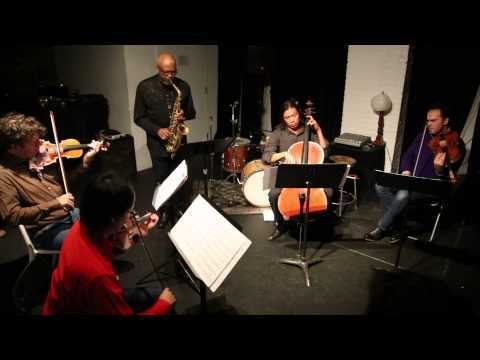 They include Camila Meza (guitar, vocals), Linda Oh (bass), Henry Cole (drums) plus a string quartet that is composed of violinists Tomoko Omura and Megan Gould (who was not present on 2014's Blue Note/Artists Share album titled "Rhizome" as she was giving birth at the time of the sessions), violist Karen Waltuch, and cellist Noah Hoffield. 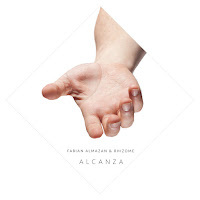 "Alcanza" (Spanish for "reach") is available on Almazan's Biophilia label and only as a digital download. However the album package is a sight to behold. It includes a code to download the music from the label's Bandcamp page and is a 20-panel work of origami that opens to reveal portraits of the ensemble, the lyrics, the artist's message, and more. The program is divided into the nine-part "Alcanza Suite"and three interludes that individually put the spotlight on the pianist, Ms. Oh, and Mr. Cole. If you take the time to speak to Fabian Almazan, you'll find an earnest, thoughtful, and well-informed person. You hear all that in his music, in the stories that four tracks of the "Suite" tell, of the composer's search for answers to the issues that have plagued and puzzled mankind throughout his/her existence, especially homelessness caused by war, occupation, and famine. Sounds frightfully serious (and it is) but Ms. Meza's sparkling vocals help the listener navigate the message. And the music calls upon influences from 19th and 20th Century classical music, from the Cuban and Afro-Cuban the composer heard growing up in Cuba and, later, Miami, from the Black composers of the 1960s and 70s, even "heavy metal." You must listen to the entire program each time you enter the music (in fact, the download comes with 12 separate tracks plus the entire program without any breaks). Now, go listen. Check out the brilliant drumming of Cole (a long-time member of the Miguel Zenon Quartet), the wonderfully melodic work of Ms. Oh, the fascinating string arrangements which are an organic part of the music (and not tacked on for color), and the wonderful and wonder-filled piano. There is not one stand-out track but 12! Whether it's the rapid-fire opening of "I: Vida Absurda Y Bella" or the whisper-soft strings on "III: Verla" or Ms. Meza's lovely and soulful vocal on "IV: Mas" or the intelligent interaction of synthesizers, voice, strings, and active rhythm section on "VII: Pater Familias" (not to forget how memorable the melody is), or the psychedelic feel of the final movement ("IX: Marea Alta", which may remind some of Peter Townsend's arrangement of "Love Reign O'er Me" from "Quadrophenia"), the landscapes created on "Alcanza" are unforgettable. Yes, I believe this is a necessary, rewarding, and highly enjoyable listening experience. The music will challenge you even as it soothes. Fabian Almazan cares deeply about the survival of the human race, believing the human race is all connected no matter our religion, politics, gender, color, or language. Music is his vehicle and we are the better for his choice. For more information, go to www.fabianalmazan.com and to biophiliarecords.com. "Find the Common, Shine a Light" is a call to action, one that reverberates throughout the new Greenleaf recording of the same name by Ryan Keberle & Catharsis, the band's fourth for the label and third to feature the lineup of Michael Rodriguez (trumpet), Jorge Roeder (acoustic and electric basses, bass FX), Eric Doob (drums), Camila Meza (voice, guitar, guitar FX), and Mr. Keberle (trombone, Fender Rhodes, melodica, vocals). The album comes 15 months after "Azul Infinito", a recording that paid tribute to the various Latin and Central American bands the leader played with after moving to New York City from Spokane, Washington where he grew up (although was born in Bloomington, Indiana). be greater than our greatness? In times of fear, compassion is an orphan." Urging the listener to be awake and aware of the changes and challenges, the refrain dances through the brain like an earworm. Yet, listen to smart arrangement of the brass, the use of Fender Rhodes mesmerizes as the voice soothes and trumpet calls us to pay attention. Listen to how Bob Dylan's "The Times They Are A-Changein'" (written in the months after President Kennedy was assassinated, the Civil Rights Act was passed, the Vietnam War was escalating, and the Free Speech Movement was starting on college campuses) sounds as if it could have been written last month. Jorge Drexler's Academy Award-winning composition from "The Motorcycle Diaries" (2004) "Al Otro Lado Del Rio" (On the Other Side of the River) addresses a person looking for "a light" because "In this edge of the world /What is not taken is up for grabs." One can argue about who Paul McCartney was referring when he wrote the lyrics to "The Fool on the Hill" but one could argue that, in a number of Williams Shakespeare's plays, The Fool was the one who could get away with telling the hard truths. The final cut on the album, "I Am A Stranger", composed by Vito Aiuto and recorded by his group The Welcome Wagon features the verse "Tis seldom I can ever see/ Myself as I would wish to be; What I desire I can't attain/ From what I hate, I can't refrain." This call for introspection and empathy in troubled time closes with the mantra "Everything's alright, yes" but that can be a question as a plea. Ms. Meza's wordless vocals on "Ancient Theory" dance along with her guitar lines - she did not play guitar on the other recordings with the band yet listen to how she moves aside as the melodica moves out in front on "...Theory" framing Roeder's electric bass solo. Pay attention to strong trumpet work of Rodriguez and how he blends so well with the leader's hardy 'bone work. Door and Roeder are powerhouses throughout driving the music even as they support the soloists and the melodies. Notice the extra voices on several pieces, creating a chorus in support of both Ms. Meza and the band. As easy it is to focus on the lyrical aspect of this program, do not neglect the music. This is a "working band" and they speak as "one." 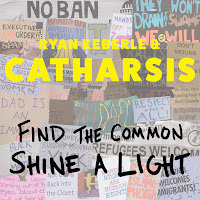 "Find the Common, Shine a Light" comes out on June 16 and can be ordered on Amazon, iTunes, and from the ensemble's Bandcamp page through Greenleaf Music (go to ryankeberlecatharsis.bandcamp.com/album/find-the-common-shine-a-light). 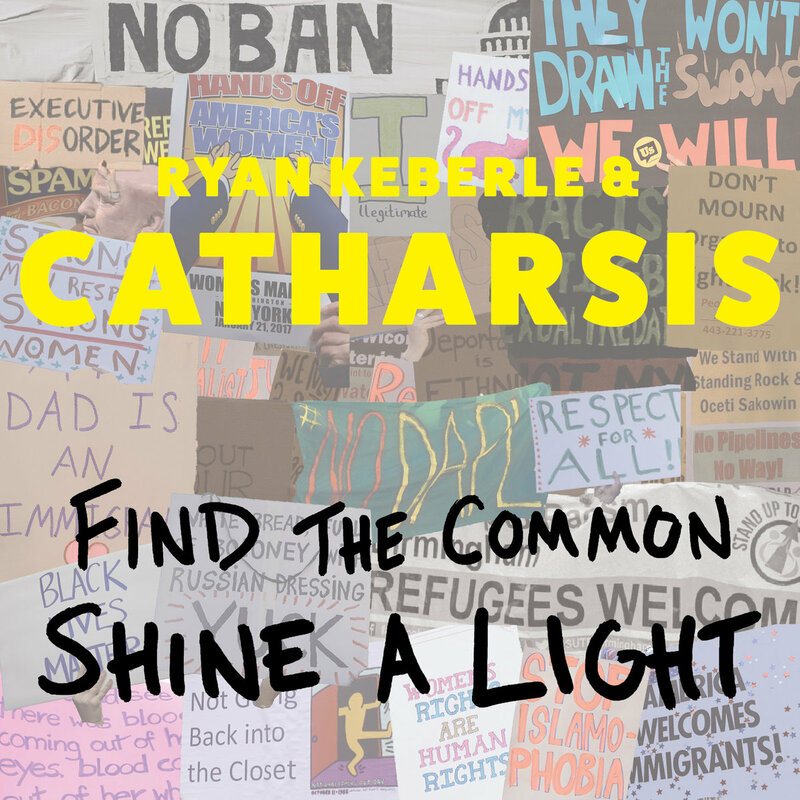 Ryan Keberle & Catharsis ask us to be diligent in the face of tyranny, to be intelligent in the face of belligerence, and to be united in these contentious times. 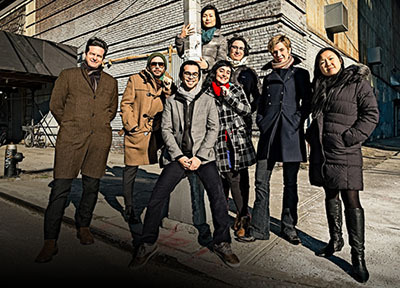 While you're at it, see and hear this group live as they have developed into one of the more impressive ensembles in contemporary music. 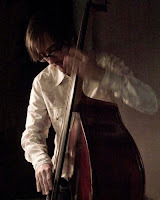 "Jazz Up Close", the series that pianist, composer, and educator Noah Baerman has produced at The Russell Library, 123 Broad Street in Middletown over the past several years, continues on Thursday June 1 with guests Meg Okura (violin) and Sam Newsome (soprano) joining Mr. Baerman, bassist Henry Lugo, and drummer Paul Wells. 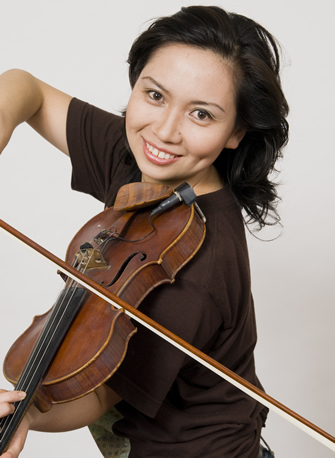 Over the past two decades, Ms. Okura has been busy playing in multiple ensembles and multiple genres, from composing string quartets to performing with Cirque du Soleil to being a featured soloist with artists such as Dianne Reeves and Lee Konitz. She's also the leader of the Pan Asian Jazz Ensemble (an ensemble with 2 CDs released so far), a Trio, and the J Orchestra, a big band dedicated to playing the music of Japanese and Jewish composers (the latter two ensembles have yet to record). Mr. Newsome first came to critical in the late 1980s when he joined trumpeter and compose Terence Blanchard's group. He went off on his own in 1995 and also decided to concentrate on soprano saxophone. 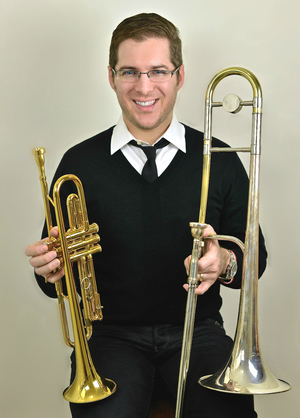 Mr. Newsome is now considered one of the masters of the instrument. His solo concerts and recordings are brilliant, each in their own right. His breath control, intelligent use of amplification and prepared saxophone, plus the various ways he employs the saxophone keys, stand out. Since 2007, he has released six CDs of solo performances with performances that are as musical as they are challenging, amazing and earthy music that defies labels. 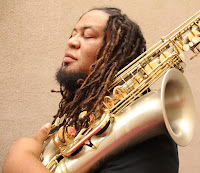 Sam Newsome is also a fine blogger; on his "Soprano Sax Talk", he writes about many aspects of his chosen instrument and some of the people who play it. Go to sopranosaxtalk.blogspot.com to check it out. If you have attended these events in the past, you know the host leaves time inside the concert and after for the audience to ask questions of the artists. In that way (and others), Mr. Baerman does much to demystify the music, making it accessible to those who shy away from what they consider a challenge. The concert takes place at 7 p.m. in the Hubbard Room. Best of all, the event is free and open to the public. For more information, go to www.russelllibrary.org. 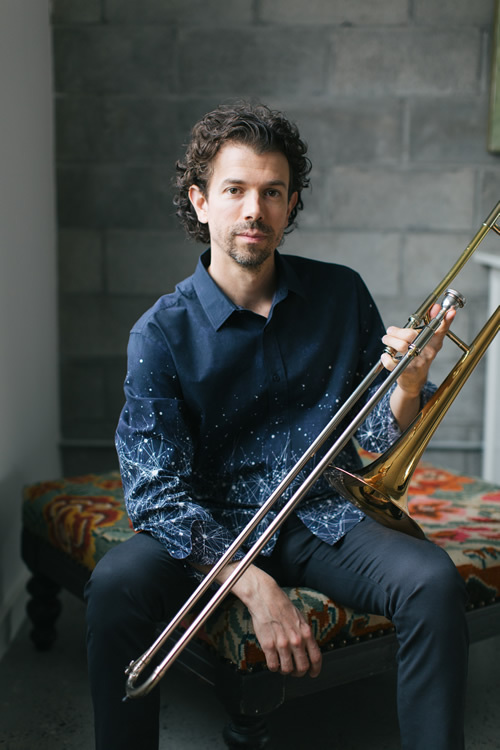 Leo Sidran has a great, informative podcast called "The Third Story"; he recently ran a delightful interview with trombonist, composer, and bandleader Ryan Keberle. 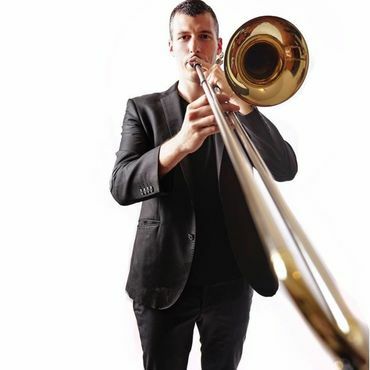 Among the many points made in the discussion was that (and I am paraphrasing Keberle here) the trombone is enjoying new-found popularity, especially with trombonists (such as him) leading their own groups and not just big bands. Below are reviews of three new recordings that prove his point. 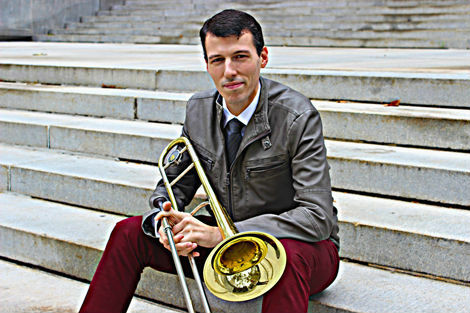 When trombonist and composer Nick Finzer entered the studio to record his third album as a leader, the United States was embroiled in a contentious Presidential election, a time when the country was facing serious choices about its mission and future. The album, "Hear & Now" (Outside In Music), is a musical reaction to those events and the malaise that the composer saw spreading over the country. Pieces such as "We The People", "The Silent One", "Race To The Botton", and "Dance of Persistence" display Finzer's concerns as does the urgency of the musical performances. The power in the music comes as much from those song titles, much the way Charles Mingus provoked his audiences, forcing us to think of the conditions all around. The sextet for the session includes Lucas Pino (tenor saxophone, bass clarinet), Alex Wintz (guitar), and Glenn Zaleski (piano) plus the powerful rhythm section of Dave Baron (bass) and Jimmy Macbride (drums). The blend of trombone and reeds makes for an excellent contrast on pieces such as "Again and Again" where the bass clarinet plays the harmony behind the melody while the rhythm section simmers underneath, the piano serving as a go-between. Wintz's guitar rises up for the first solo, slowly the intensity rises, reminiscent of Herbie Hancock's music on his Blue Note recordings "Speak Like a Child" and "The Prisoner." Then Finzer and Pino solo together, pushing the piece forward before stepping aside for Macbride's short, powerful solo. Subtle overdubbing creates a reed and brass choir at the onset of Duke Ellington's "Single Petal of a Rose" (the only non-original piece in the program); it's quite beautiful and leads into the emotional piano solo over the whisper-soft bass and drums. Zaleski's solo opening on the final track, "Love Wins", introduces the poetic ballad. 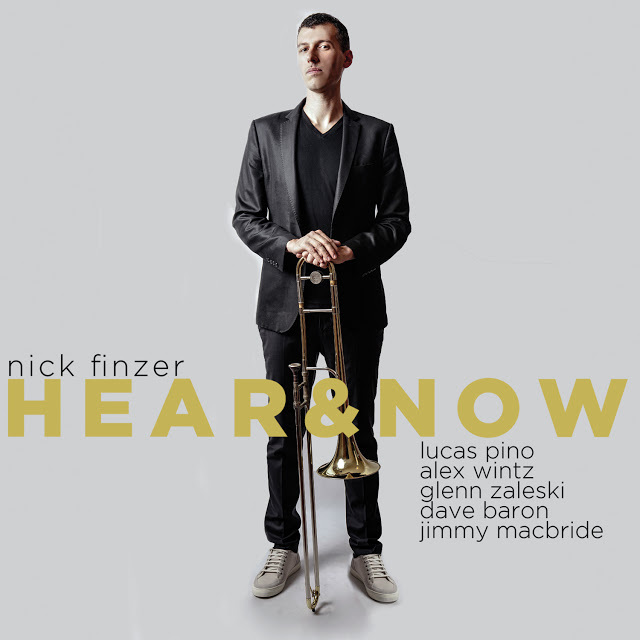 Pino's swirling bass clarinet and Wintz's impressionist chords frame Finzer's handsome melody as Baron's spare bass notes serves as the foundation while Macbride dances over his cymbals and drum kit. The blend of power and gentleness, of reeds, strings, and piano atop an exemplary rhythm section makes "Hear & Now" stand out. One can not ignore the agenda Nick Finzer has on this album, showing how music can reflect the times, how jazz has always been and remains protest music, how the stance of the musicians can call the audience to action, and how much we need to be pro-active in these days of "reaction without reflection." The musicians are not revolutionary in the way that the late Fred Ho and the late Charlie Haden were but this music fights against complacency and blanket acceptance, calling for "presence, vision, passion, inspiration, reflection, dialogue, evolution, action, and change", the words printed on the inner sleeve of the album. Pay attention! For more information, go to www.nickfinzermusic.com. 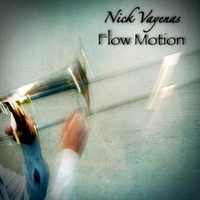 Glenn Zaleski also shows up on the new release from trombonist, trumpeter, and composer Nick Vayenas. "Flow Motion" (self-released) is Vayenas's fourth album as a leader (since 2008) - he's such a busy sideman, working with Michael Bublé, Josh Groban, Lady Antebellum, Patrick Cornelius, and Kendrick Scott (on whose label he released his debut CD, "Synesthesia." Besides Zaleski, the sextet on the recording includes Dayna Stephens (tenor saxophone), Peter Slavov (bass), Colin Stranahan (drums), and the afore-mentioned Cornelius (alto saxophone). Although there is a track titled "Anarchy", the majority of the material seems to have no political agenda. That particular track swings with a vengeance, featuring strong solos from the alto saxophonist, the leader, and Stranahan. Zaleski's work in the background is notable for its strength and subtlety, which is true throughout the entire program. In fact, it's his short but rich chordal work that leads off the title track that leads off the album. The song swings with a gentle yet firm rhythm - Vayenas plays in a buttery style, quite melodic, setting the tone for Stephen's handsome solo and the pianist's earthy explorations. The rhythm section moves the music forward in a playful manner, especially the drummer whose accents are a delight. Vayenas switches to trumpet for "Premonition", sharing the melody with the tenor sax. The piano chords, at times, suggest McCoy Tyner but, like the opening track, there is a gentleness to the proceedings. The leader's tone on trumpet is clear, his notes crisp, and his attack adds intensity to the track. 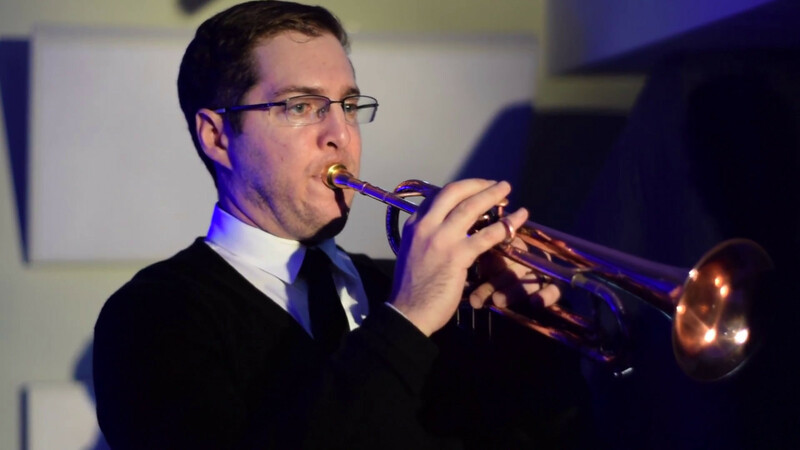 The influence of Herbie Hancock is evident on "The Final Frontier"; again, the trumpet takes the lead and Vayenas's bluesy solo spurs the rhythm section to react with stops-and-starts as well as keeping the flow moving. Another highlight is "Velvet Mystery", a handsome ballad whose melody is carried by the mellow trombone and breathy tenor sax. Zaleski creates an impressionistic opening solo that opens up to Vayenas's heart-felt improvisation - he's "writing a story", inviting the listener to get lost along the way to come out on a reiteration of the main melody that's now has a quiet intensity, not so much as a mystery. The final track, "Change", is also a ballad with only trombone and piano. The opening features Vayenas on melody and Zaleski on counterpoint with the pianist taking the first solo. Various melodic fragments show up before the trombone reenters. His "singing" lines over the chordal accompaniment intimate a "classic" ballad and serves as a lovely closing to the album. "Flow Motion" is an album to get lost in. The program never forces its way into your brain yet invites you to relax, settle down - even the funky "Red Stripe" has a good natured gentility. The music Nick Vayenas and crew creates on the album is truly for early morning reveries and late-night meditations. For more information, go to www.nickvayenas.com. 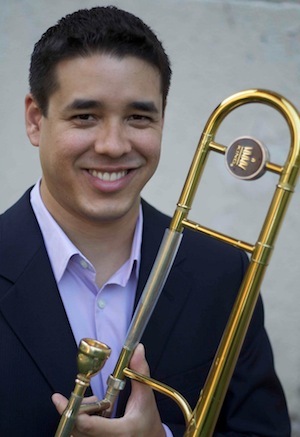 "Tight Rope", a funky, hard-edged, tune opens "Presence" (See Tao Recordings), the fourth recording from trombonist and composer John Yao. 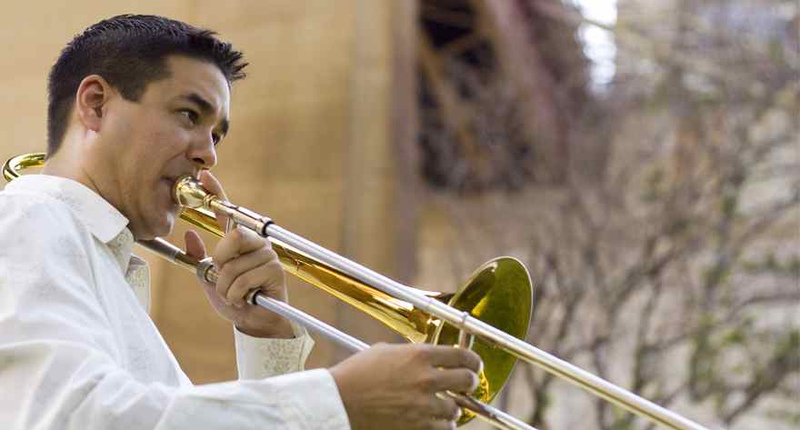 The Chicago native has worked in numerous ensembles including the Afro-Latin Jazz Orchestra, the Vanguard Jazz Orchestra, the Brooklyn Big Band, and the Jeff Fairbanks Orchestra. 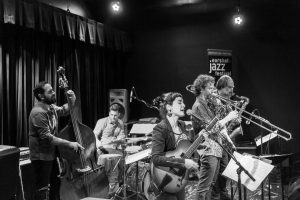 His previous album, ""Flip-Flop", was created for his 17-piece Instrument but the new recording is with his Quintet, a return to the smaller-group ensemble of his 2012 Innova recording. This group includes Jon Irabagon (soprano and sopranino saxes), Randy Ingram (piano, Fender Rhodes), Peter Brendler (bass), and Shawn Baltazor (drums); the music Yao gives to them play to their strengths. Irabagon, whose noted for his tenor work, is limited to the higher range reeds here yet it's a smart juxtaposition to the trombone. Plus, he has developed into such a fine player. Listen to the elegiac "M. Howard" (the album is dedicated to the memory of one of the leader's best friends and how the soprano melody lifts up as it sings. The lovely, melodic bass solo (Brendler is one of the most sensitive players on the scene) leads into an intense piano solo that also rises, this time over the rhythm section and the horns. Yao then steps out, the intensity picks up even more, and one hears his sorrow transformed into (musical) action. I like the audacity of "Fuzzy Logic", the opening moments featuring trombone, bass, and sopranino on melody while the drummer and piano create a raucous scene. 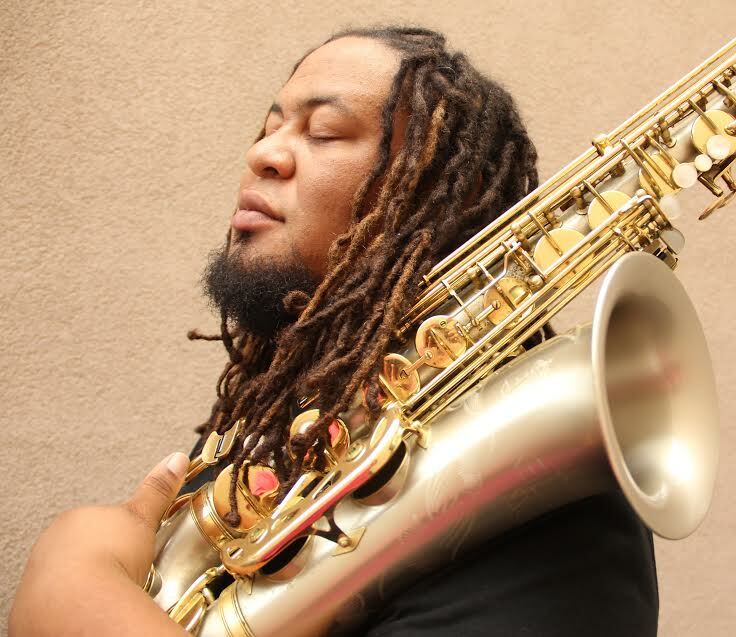 As the piece moves into its fiery stop-start pace, Yao and Ibragon wail away, Ingram provides counterpoint to their intense soloing and the rhythm section gives chase. There's also an intensity to "Nightfall" but with a melodic flair. Ingram's forceful solo inspires the rhythm section as well as Yao to really get deeper into the music. The title track is calmer, even more melodic, a work for quartet sans saxophone, becoming a spotlight for trombone and piano. The bass and drums stay active, producing dancing rhythms for the soloists. The closing track, "Bouncy's Bounce", does have a jaunty feel. Pay attention to Brendler as he moves from the melody to his solid walking bass line. Notice also how Irabagon takes the title to heart, his playful solo dancing - yes, even bouncing - above the rhythm section. Yao starts out quieter but soon gets into the playful spirit, goosed by Baltazor's active bass drum and interjections. Such good music, such strong compositions, such a good ensemble, "Presence" has all the ingredients to please and challenge an active listener. John Yao created this life-affirming music in the aftermath of a sudden loss. Many of us turn to art, to music, in times of stress. 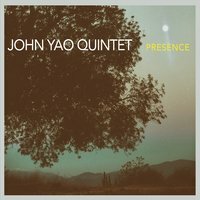 This album by The John Yao Quintet gives one hope in the face of tragedy, inspiring us to continue to move forward. 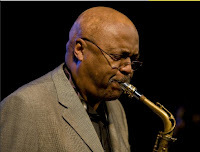 If one takes a close look at the ongoing career of saxophonist, composer, and activist Oliver Lake (pictured left), you'll see a person dedicated to not only celebrating the past but also always moving relentlessly ahead. Coming out of St. Louis, MO, in the 1960s, a co-founding member of the BAG (Black Artists Group), he teamed up with Julius Hemphill, Hamiet Bluiett, and David Murray to form the World Saxophone Quartet, all the while touring and recording with his own ensembles. 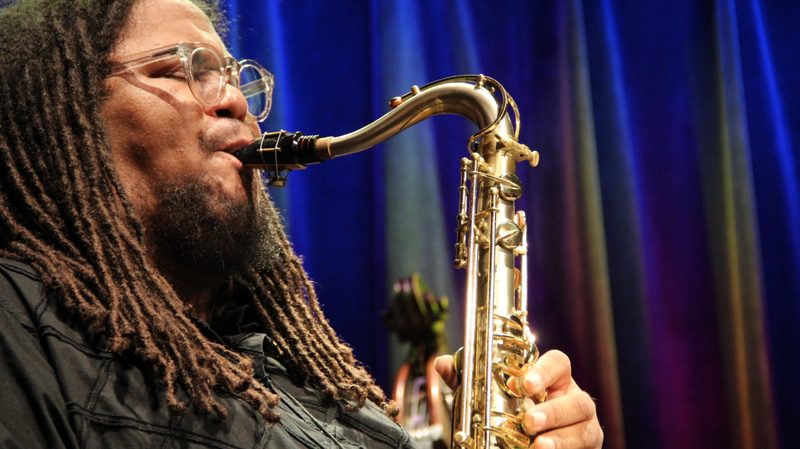 Like Wadada Leo Smith, Anthony Braxton, Henry Threadgill, and other of his contemporaries, he developed a sound on his chosen instrument - alto saxophone - that immediately tells who he is upon the first notes. His recorded output includes duos, trios, quartets, organ-based ensembles, steel pan groups, big band, and numerous releases with the collective Trio 3 (with Andrew Cyrille and Reggie Workman, an association well into its third decade). 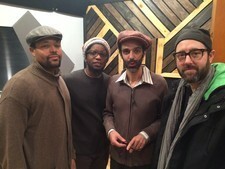 Lake works with the trio Tarbaby (Orrin Evans, Nasheet Waits, and Eric Revis) and as a guest artist with other groups. "Right Up On" (Passin' Thru Records) is his first recording with a string quartet but not his first with strings; he appeared in duo with violinist Leroy Jenkins (1932 - 2007), augmented his "working" quartet with a string quartet on 1979's "Shine!" (Arista-Novus), and released an album in 1997 "Movement, Turns, and Switches" with the Oliver Lake String Project. 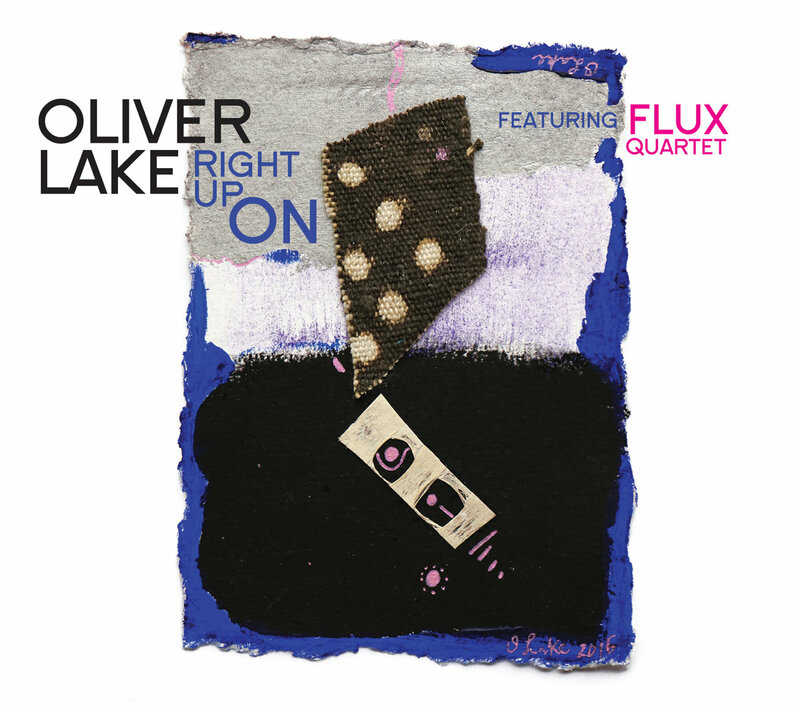 This new album features FLUX Quartet (violinist Tom Chiu, violinist Conrad Harris, violist Max Mandel, and cellist Felix Fan), who Lake has worked with since 2002 and for whom he composed the majority of the pieces on the recording. Like much of the composer's works, the 9 compositions have written and improvised sections plus the use of graphics and minimal notation. 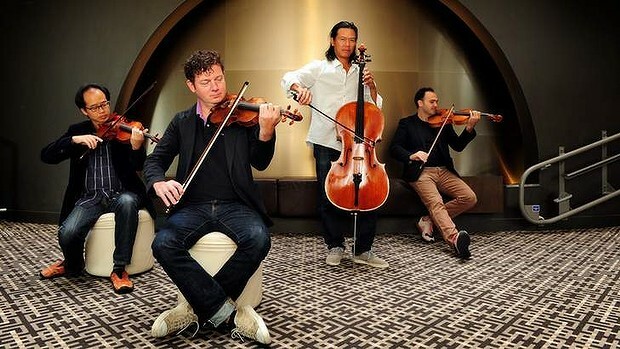 The music certainly has a contemporary feel but hearkens back to the late quartets of Beethoven and to the string writing of Olivier Messiaen, Aaron Copland, Roy Harris, and George Walker. The lovely sonorities of the title track, the twists-and-turns of "2016" (the pizzicato opening with its stormy feel that opens to a lovely pastoral melody that branches into several other directions, and the fascinating use of dynamic variations on "Sponge" (near silence to keening sounds to percussive effects and a surprising vocal interjection) illustrates how Lake pushes the musicians and challenges the audience. The composer adds his saxophone voice to two tracks. On "Hey Now Hey", he joins the Quartet 1/3rd of the way playfully interacting by pushing his way into the conversation whereas on "5 Sisters" (dedicated to the memory of his mother and her four sisters), the alto leads the way. Listen closely to how the strings respond to the reed sounds and melody lines, to the improvisation, to how the cello adds such depth to the music, and to how the piece ends unresolved (to these ears). The final track, "Einstein 100! ", comes from 2005 and, of course, plays with space and time, with the finite and infinite, with solos and improvisations, and contains moments of delightful counterpoint. It is important to note here that Albert Einstein was an accomplished amateur violinist, often reaching for his instrument in moments if stressful research. Nearly 21 minutes long, the music is dramatic, cathartic, sometimes soothing, occasionally puzzling (why the coughing? ), but always searching, probing, looking inward and outward, and never settling for cliche. Oliver Lake has been a creative force for over five decades and shows no inclination to stop pushing forward. In FLUX Quartet, he has found musicians as daring as he, as willing to go deep into music and out on a limb as he continues to do. Pay attention to"Right Up On"; even as the music challenges your expectations, it will also take you many places. For more information, go to www.oliverlake.net or to passinthru.bandcamp.com/album/right-up-on. Pianist and composer Vadim Neselovskyi left his native Ukraine at the age of 16 and moved to Germany with his family. 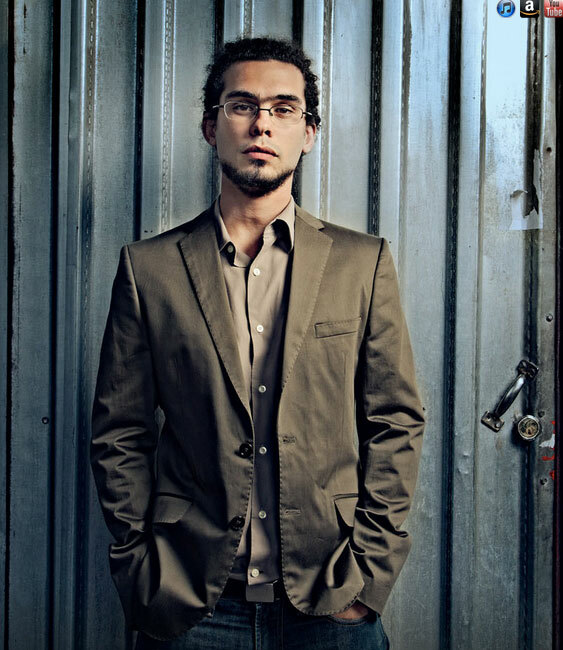 After attending schools there, he came to the United States to study at the Berklee College of Music and now serves on the faculty of the Boston-based school. 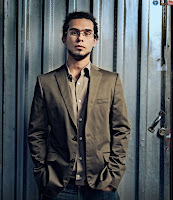 His debut album, "Spring Song", was issued in 2007, the music performed by a sextet including two vocalists. In 2013, Sunnyside Records issued "Music for September", a solo album produced by Fred Hersch featuring songs inspired by classical music, Keith Jarrett, and interpretations of several well-known standards. 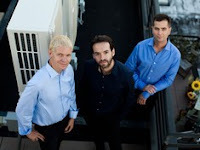 In 2014, Neselovskyi formed a trio with Israeli-born drummer Ronen Itzik and the American bassist Dan Loomis (a charter member of Wee Trio). They headed off to Ukraine for a jazz festival and as they were about to take the stage, the organizers of the festival told Neselovskyi's ensemble that a Ukrainian military plane had been shot from the sky by a missile launched by a separatist group (one of several terrorist attacks that took place that year.) The musicians were asked to keep the music appropriate for the tragic events. 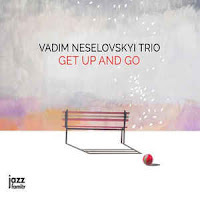 That concert was the genesis of "Get Up And Go" (Jazz Family/Blu Jazz Productions), the debut album of the Vadim Neselovskyi Trio. 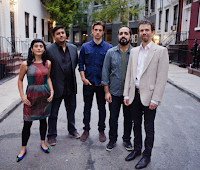 The group is coming to The Side Door Jazz Club in Old Lyme CT this Friday night (5/19) to not only play the music from the album but also new material inspired by the group's travels around the United States, Europe, and beyond. While music of the music is a reflection on the events around the festival, there are also a number of uplifting songs, pieces such "San Felio" and "Who Is It" that surge forward on the power of Neselovskyi's dashing piano lines, Loomis's thick bass lines, and Itzik's dancing drums. The former piece has several tempo changes, a well-placed laugh, and wonderful melodic turns-of-phrase. The latter tune is similar, opening on a raucous rhythmic surge before the trio digs in, interacting, teasing out melodies, plus a powerful piano solo. The title track is an exhortation, a reminder that even in sorrow, life goes on. The music starts slowly, prayer-like, before moving forward on the power of the rippling piano and the forceful drum work of Itzik. The program also includes the powerful ballad "Krai', an original the pianist recorded for a 2014 recording, a duo with horn player Arkady Schilkloper. It's the first song Neselovskyi played at that festival, a solo work with a wide range of emotions, from anger to wonder to pride. "Krai" means "region" in pre-Revolutionary Russia and "administrative territory" since. For the pianist, I can speculate that it also means "home" or, at least, serves as a reminder of his native land. Another lovely ballad is "Winter", the opening notes falling like gentle snow until Loomis's arco bass lines read the melody. The expansive piano solo rarely rises above a whisper yet is filled a sense of wonder and contemplation. Vocalist Sara Serpa joins the Trio on two songs, the handsome "Station Taiga" (named for a stop on the Trans-Siberian railway) and the album closer "Almost December." While she does not sing any words, her haunting voice joins with the piano and bass on the latter track to create an impressionistic portrait of early winter. Notice how melodic Loomis is when he's interacting with the other musicians and take delight in the lovely addition (halfway through) of glockenspiel to the song. One of my favorite moments on the recording occurs on "Station Taiga" when Neslelovskyi matches Ms. Serpa's vocal with his melodica, then moves away in counterpoint to the blowed bass, voice, and piano. "Get Up and Go" is an impressive collection of songs, heart-felt, exciting, highly melodic yet, at times, also quite rhythmical. Vadim Neselovskyi is a mature composer, a splendid pianist, and impressive soloist. But, this music is about heart more than technique, soul more than exquisite execution. 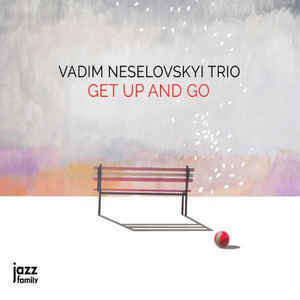 In a world of multitudinous piano trios, the Vadim Neselovskyi Trio is well worth your attention. As I wrote above, the Trio is in CT this week then in New York City on 5/21 and 22. Go to www.vadimneselovskyi.com/live/ for more information. To reserve a seat at The Side Door, call 860-434-2600. 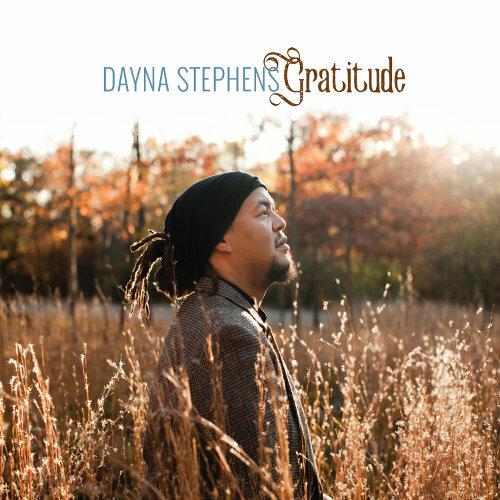 There are a number of very good reasons that the new album by saxophonist Dayna Stephens is titled "Gratitude". First and foremost, he is finally over the worst of the effects of Focal Segmental Glomerulosclerosis (FSG), a kidney disease that has affected him for the past two decades. Thanks to a donation from his aunt Lauren Annette Bullock (a performing artist based in California), Stephens is back in good health. Also, the album is the first to be issued on his own label, Contagious Music. 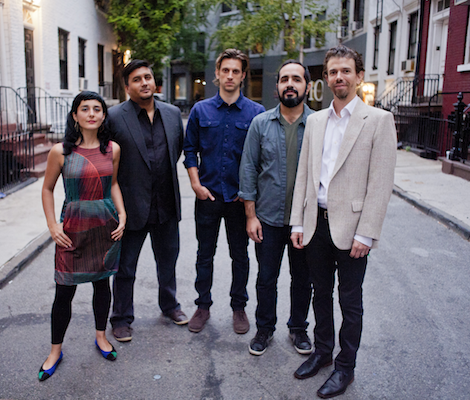 In many ways, the album is a continuation of 2014's "Peace" (Sunnyside) in that it is produced by Matt Pierson, features the same musicians (pianist Brad Mehldau, bassist Larry Grenadier, guitarist Julian Lage, and drummer Eric Harland), recorded (mostly) in the same studio in Rhineback, NY, and the material leans heavily in the direction of ballads. This time, however, the songs are composed by Stephens contemporaries with the exception of Billy Strayhorn's "Isfahan." The album opens with "Emilie", a lovely piece from Olivier Manchon, with a sweet melody first introduced by piano and tenor saxophone (Stephens also plays baritone sax, EWI Wind synthesizer, and synth bass on the album). The music skitters along on the dance of the rhythm section with the leader rising above them with long, flowing, lines. "In A Garden", from pianist Aaron Parks, is next. This is such a gracious ballad, the quiet guitar chords and spare accompaniment frame a lovely melody that Stephens takes his time to work through. First solo is from Grenadier and is a reminder of how melodic a player he can be. There are moments throughout the album that are reminiscent of the recent work by Charles Lloyd (the gentleness of the tenor playing) yet Stephens is certainly his own person. On Pat Metheny's Impressionistic ballad "We Had a Sister", he utilizes the EWI for the melody and solo before Mehldaus splendid solo. The Wind Synthesizer often sounds harsh but here paints a lovely and emotional portrait. The use of baritone saxophone on "Isfahan" is inspired. With only guitar and bass as support, Stephens gives the Strayhorn ballad from Ellington's "Far East Suite" a jaunty but not overdone feel. There is a pleasing "Americana" feel to Lage's "Woodside Waltz" (Mehldau plays "tack" piano) and the leader plays a sweet solo. Electronics play an important part on the last track, two different songs titled "Clouds" (the first from Massimo Biolcati, the second from Louis Cole) - the synthesizer dances alongside Harland's excellent drum work as the tenor sax plays the melodies. As the piece moves forward into the section composed by Cole, the tenor pairs with the EWI to play the plaintive melody. It's an effective and gentle way to close out the program. Stephens original composition "The Gratitude of Timbre" is a lovely ballad, the only original piece on this album (unlike the previous recording, which had none). Notice how the band (minus Mehldau) pushes the piece forward, pointing ahead to a future with such possibilities and excitement. Dayna Stephens has never shied away from a challenge, performing and teaching even as he constantly needed dialysis. "Gratitude" is a "thank-you note" to all those who supported him mentally and fiscally, to the many musicians who he has worked and played with, and to the power of music and faith. For more information, go to daynastephens.net. One often feels the need to put labels on music, especially to "understand" the intentions of the composer and performers. If you take a close look at "Nerve Dance" (Clean Feed Records), the new release from the Michaël Attias Quartet, you see an ensemble makeup that has been central to jazz since the days of bebop - the leader on alto saxophone, pianist Aruán Ortiz, bassist John Hébert, and drummer Nasheet Waits - and they make music that hearkens back to the Keith Jarrett groups of the late 1970s and 80s. 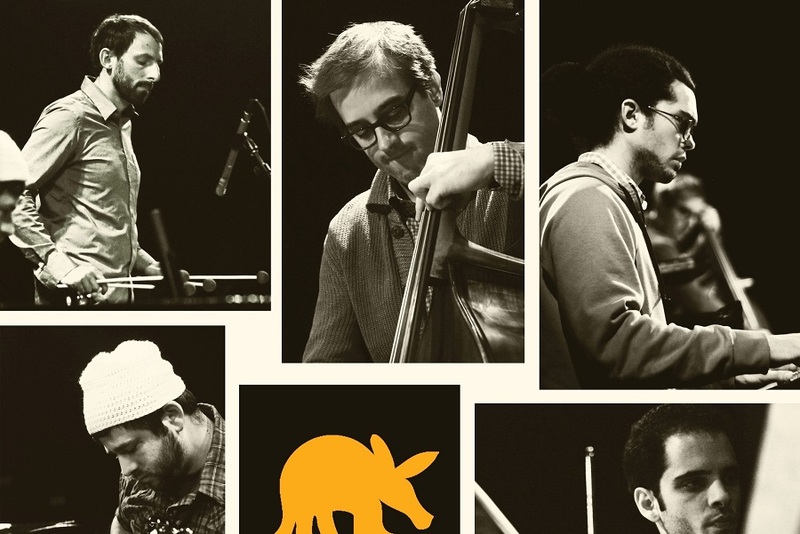 There is great group interactions, intelligent compositions that blur the lines between melody and improvisations, and an dynamism that has its roots both in the AACM and European "free music" scene. Putting labels aside for the time-being, what one hears on "Nerve Dance" is delightful and challenging interplay that speaks to the elasticity of forms. Nasheet Waits is amazing throughout, his drumming on several tracks, including the opening "Dark Net", showing the influence of hip hop. His melodic work on "Nerve and Limbo", especially in the first half, captures an intensity that one hears in Andrew Cyrille - he is central in not only moving the piece forward but in illuminating the melody. His rhythm section mate, John Hébert, also has a wonderful melodic side, noticeable on Attias's "Moonmouth" as well as his own "Rodger Lodger" - his counterpoint to the theme stands out and is continued throughout solos. He also is quite a dancer as he displays his impressive moves on "Scribble Job Yin Yang", flying above the deep piano notes of Ortiz. The pianist is a splendid accompanist. His chordal splashes on "La Pèse-Nerfs" (taking its title from the journals of Antonin Artaud) helps the piece move out into "freer" territory, echoing the cymbal splashes of Waits. Aruán Ortiz can be gentle as well. His deliberate pace as he moves through the melody of Hèbert's "Nasheet" allows the piece to grow up and out. Later on, when the music is more forceful, his interaction with the drummer is energetic yet thoughtful. 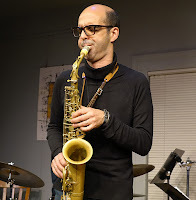 Alto saxophonist and composer Attias is a fine improvisor but also an intelligent composer and arranger. The orchestrations on pieces such as "Moonmouth" and "La Part Maudite" gives each member of the ensemble equal weight in the sound, whether it's the piano, bass, and drums playing the melody on the latter track or how the voices move around each other on the former. "Dream In a Mirror", at 9:51, is the longest track. Waits open the piece with a powerful solo that folds back into itself time and again before Hébert take an equally long and majestic solo. With two short taps on the cymbal, the piano enters with the drums and plays the melody alongside the bassist. The intensity picks up with the entrance of the alto sax. The rhythm section creates quite a storm while Attias pushes them forward with an equally power solo. 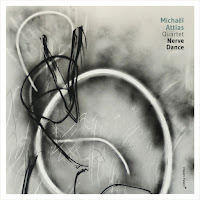 Yes, "Nerve Dance" by The Michaël Attias Quartet may only appeal to listeners who enjoy contemporary jazz but, to give this music any one label, does it a disservice. Exploratory music is better, played by an ensemble who challenge each other and themselves to avoid cliches, to play honestly and in the moment. The band did a short tour around the release of the CD and, hopefully, you can get to hear them live. In the meantime, this album is mighty impressive. For more information, go to www.michaelattias.com. 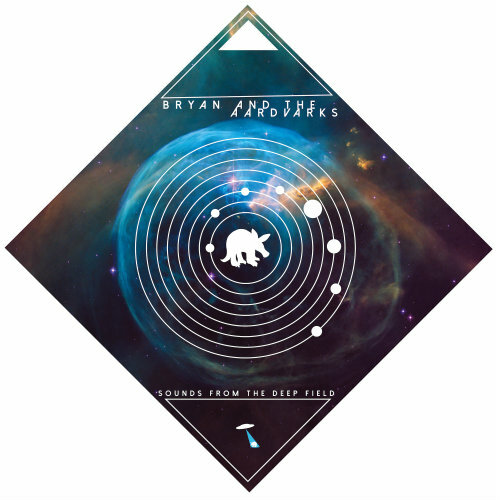 Bryan and the Aardvarks look to the heavens for "Sounds From the Deep Field", the ensemble's second album and first for Biophilia Records. It's no surprise that band in on Fabian Almazan's new and progressive label as the pianist has been in the band since its inception. 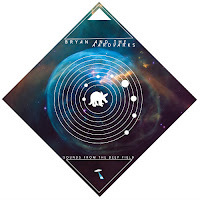 Bassist and composer Bryan Copeland leads the group which, besides Almazan (who also plays synths), features Chris Dingman (vibraphone), Jesse Lewis (guitars), and Joe Nero (drums) - on this album, they are joined by vocalist Camila Meza and Dayna Stephens (EWI Wind synthesizer). Like the other 2017 Biophilia releases, the music is only available as a download. There is an option where you can purchase the cover and the download. Click on this link to find out more. 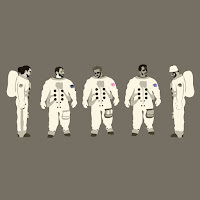 Copeland's influences for this album include the work of Carl Sagan, the explorations of NASA's satellites as they move away fromearth, and, musically, the progressive "rock" of artists such as Hatfield and The North plus progressive jazz of Tony Willams, Bill Bruford's Earthworks, Chick Corea, Jason Moran, and others. This ensemble does not imitate any of those artists mentioned but, to my ears, uses their visions to create their own. Notice how the opening track, "Supernova", moves to power of the chords provided by Lewis and Dingman, with Ms. Meza's wordless vocals as an extra instrument, and Almazan's far-ranging solo. The "openness" of "Eagle Nebula" is created by the swirling sounds of the vibes and piano while Nero and Copeland frame the composition. Lewis and Ms. Meza build the melody throughout the first half of the track before they drop out with the rhythm section. Dingman and Almazan move around each other, as if floating in space, until the rhythm section returns to help the piece to its rousing conclusion. 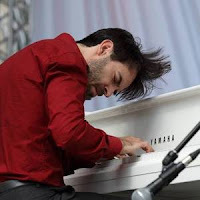 Copeland composed "Soon I'll Be Leaving This World" as an elegiac piano spotlight for Almazan; he has the first 90 seconds to himself before the drums enter, then drop out for the bass to continue to lay the foundation. When the rest of the band enters (reminiscent of Procol Harum's "Salty Dog"), the pianist continues to lead the way with a dazzling array of long. flowing, lines that move way and back into the band. Everyone drops out and Alamazan takes the piece to its close on an ever-softening lilting melody. Ms. Meza also sings Copeland's lyrics on several tracks. "The Sky Turned To Grey", a song about earthly storms and how they effect us. Lewis creates a power solo over the roiling piano chords and solo rhythms; that "powerful" sounds continues when the solo ends and the voice returns to push the song to its climax. The opening notes of the lovely ballad "Magnetic Fields" suggests Kurt Weill's "September Song" - the lyrics are more hopeful, a search for meaning in such a vast universe. The music opens up for a fine vibes solo over a a rhythm that suggests a waltz. The music is not all "spacey". Hard-edged funky drums lead the way into "Strange New Planet" (this is a tune where the "prog-rock" influence is most noticeable). Lewis and Dayna Stephens's EWI take the melody lines while Dingman offers counterpoint. The leader's powerful bass lines lock in with the drums to keep the song "rocking". There's an even harder "reprise" of the track, the short "LV 426" several tracks later. 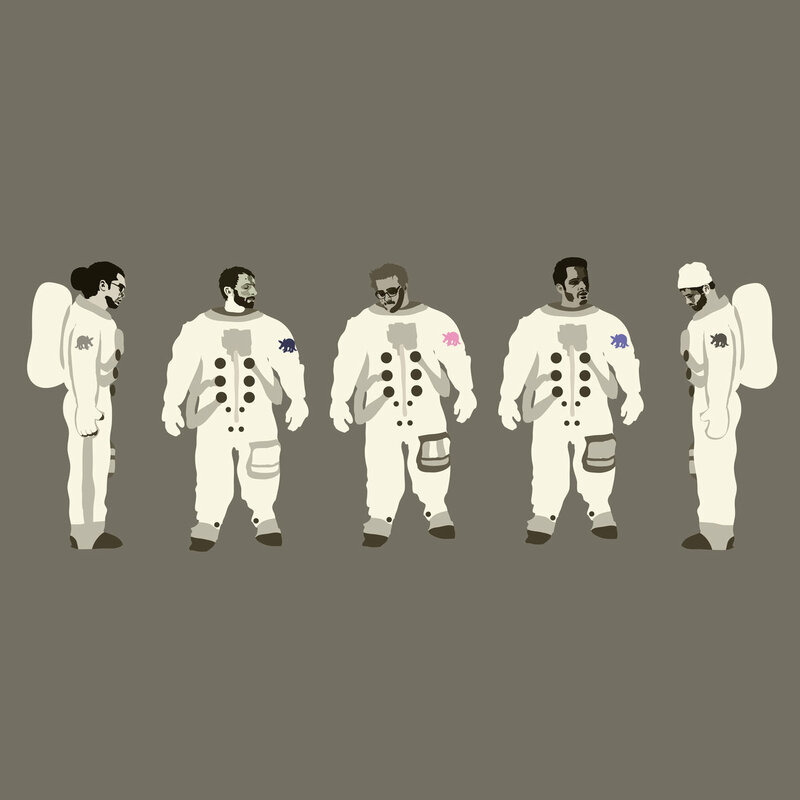 Despite the title of the album's final track, "To Gaze Out The Cupola Module", the piece jumps right out of the speakers, powered by Nero's "smashing" drums. Almazan's electronic keyboard shares the solo space with the vibes, trading off phrases as the song rockets forward. "Sounds From the Deep Field" has many glorious moments for listeners to bathe in. Whether it's Fabian Almazan's powerful piano playing, Chris Dingman's supportive, melodic, trance-like vibraphone, Jesse Lewis's arching guitar lines, Camila Meza's earthy yet dignified vocals, the strong support and drive of drummer Joe Nero, plus the leader's foundational work (listen to how his high notes still manage to underpin "Tiny Skull Sized Kingdom"), this music captures one's imagination. Would it work so well without the beautiful artwork, the views of the heavens taken by NASA's Hubble Telescope team, or the words of Carl Sagan? They certainly help but it's Bryan Copeland's vision for this music that leads the way and it's an entrancing way to follow. For more information, go to bryanandtheaardvarks.com.